A Prenatal Surgery For Spina Bifida Comes Of Age Spina bifida, a spinal cord defect, affects about 1,500 U.S. pregnancies each year. Just this year, surgery to correct this birth defect while the fetus is still in the womb has moved past the experimental phase. While the surgery doesn't guarantee a perfect outcome, sometimes the results are truly amazing. Surgical fellow Pablo Laje (left) and Dr. Scott Adzick finish prenatal surgery on Sarah White. Her fetus has spina bifida — a hole in the lower back that exposes the spinal cord. When she was 19 weeks pregnant, Sarah White went for a routine ultrasound and got a shock. "I could tell that something was wrong because the ultrasound tech got real quiet," White says. White's male fetus had spina bifida — a hole in his lower back that exposed the vulnerable spinal cord. "When they said, 'Your baby has spina bifida,' I knew it wasn't good," says Joe Hensley, White's husband. "But I didn't have a sense of what was involved." Often it involves lower-body paralysis requiring a wheelchair or, at best, leg braces. Lack of control over bowel and bladder. Possible brain damage. Surgery at birth and periodically throughout childhood to correct the defect and install shunts, tubes to drain excess fluid that can build up in the brain. White and Hensley discovered an alternative to standard management of spina bifida. An operation before birth offered a chance to avoid paralysis, brain damage, the need for shunts — in short, the chance for a more normal life. But the decision was no slam-dunk. "This has been the hardest thing we've been through," Hensley says. The surgery is risky. They could lose the fetus. And White could die — although so far, no mother has died from prenatal surgery for spina bifida. Since the 1980s, researchers have tried to correct birth defects during pregnancy, with mixed results. But today, about 2 in every 100 pregnancies involve birth defects that could be repaired prenatally, according to a recent review by the Agency for Healthcare Quality and Research. Fetal surgery for spina bifida was the first to be tried for a defect that is not lethal but can cause lifelong disabilities. And it's the first to be validated by a large study in which women were randomly assigned to fetal surgery or conventional treatment after birth. Cardiac malformations. Surgeons are trying to repair several heart defects, such as narrowing of the aortic valve and narrowed pulmonary valve, that can be fatal. Procedures are in "developmental stages" in a few research centers. There's debate over which cases should be eligible, and better-controlled studies are needed. Congenital diaphragmatic hernia. This relatively common defect is a hole in the diaphragm that allows abdominal organs to protrude into the chest cavity. 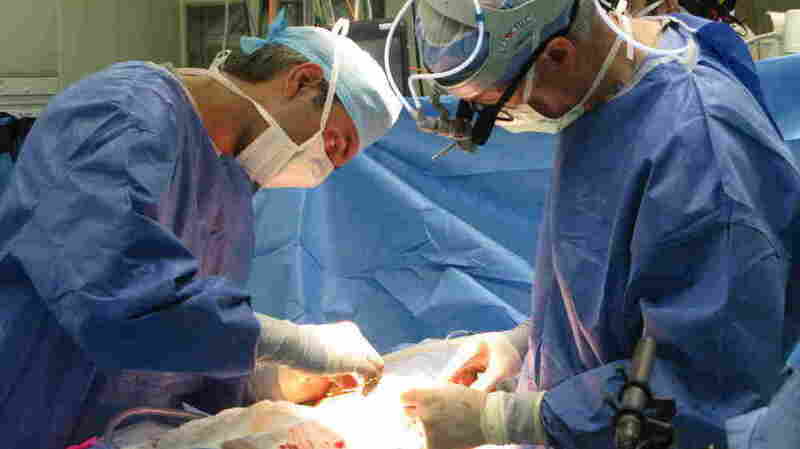 One 2003 study showed no difference between fetal surgery and treatment after birth, but small uncontrolled studies since then suggest improved outcomes for fetal surgery. Urinary blockages. Various defects can prevent the drainage of urine and damage the developing kidneys. There have been no randomized controlled trials, but there's growing evidence that in some cases, fetal surgery can lead to survival rates of 50 to 90 percent, though there still may be longterm kidney damage. More longterm studies are needed. Twin-twin transfusion syndrome. In this condition, twins' abnormal blood vessels cause one twin to get too much blood and the other to get too little. Various fetal treatments have been tried, but the most common approach today involves using a laser to selectively destroy some of the abnormal vessels. Consensus is developing that this is the best approach, but studies are small and difficult to compare. Airway malformations. A portion of lung is replaced by abnormal tissue. The majority of cases spontaneously regress during pregnancy, but severe cases can be fatal, so the main problem is figuring out which ones need treatment. A study is being organized to treat selected fetuses with steroid drugs or no drugs. And, Hensley says, "It's not a guaranteed fix." So the couple, who live in North Carolina, went to Children's Hospital of Philadelphia, one of just three U.S. hospitals with extensive experience in fetal surgery for spina bifida. Lee Sutton, a pediatric neurosurgeon on the staff there, says doctors now realize that most of the damage from spina bifida occurs late in pregnancy. "We were seeing all these kids that were coming in here unborn — you know, little fetuses 18 to19 weeks — and they were moving their legs beautifully on the ultrasounds," Sutton says. "And then when they would get delivered at 38 weeks ... they had club feet and were paralyzed." Ultrasound tests showed that White's fetus was still kicking. So there was a chance that if they decided to operate during pregnancy, their son wouldn't be paralyzed. The couple decided they'd never forgive themselves if they didn't give their child the chance to walk. "We would probably look back and say, 'Wow, why didn't we do it? Why didn't we try?' " Hensley says. So after a whirlwind of tests and consultations to determine her eligibility, White found herself on an operating room table in Philadelphia one Friday morning this summer. She was feeling apprehensive. "I've never had surgery before, so it's pretty terrifying," she said. The surgical team was led by Scott Adzick, chief of surgery at Children's Hospital of Philadelphia, known as CHOP. He began the operation with Mark Johnson and Michael Bebbington, who are specialists in obstetrics and maternal-fetal medicine. Through skin, fat and muscle, the surgeons cut through Sarah's abdomen until they got to her uterus. At nearly six months of pregnancy, it was the size of a child's soccer ball. "We're actually going to tip the uterus out of the abdomen," Adzick said. That's possible because the organ, shaped like an upside-down Grecian urn, is attached only at the bottom, at the neck of the "urn." Once White's uterus was almost entirely outside her body, Adzick took a marker and outlined where the placenta was — the thick, pancake-shaped organ that exchanges oxygen and nutrients between mother and fetus. If the surgeons were to cut into the placenta by mistake, the fetus could have died and White could have bled to death. Next, one of the surgeons took a special stapling device that cuts through the uterine wall, which is especially rich in blood vessels. The device pinches off blood vessels as it cuts and tacks the membrane enclosing the fetus to the uterine wall. A few more staples and they had opened a small window, about 3 inches across, in the uterus. "And here's the fetal bottom," Adzick said. It was an amazing sight — the 6-inch-long fetus, its back facing up into the glare of the surgical lights. The object of the whole operation appeared as an odd bluish bubble about an inch and a half across on the fetus's lower back. It was a fluid-filled sac of fragile tissue positioned over the hole in the spine. I remember when I did my first one when this was just being pioneered. I was just awestruck with it – and I was doing it! And I still get a kind of a shiver almost when I do one of these. "That's the enemy," said Adzick. "It's the myelomeningocele or spina bifida sac, which bulges way out." Cerebrospinal fluid leaks out of this thin membrane. Since the purpose of this fluid is to cushion the brain and spinal cord, leakage drains it away. That causes the base of the brain to sink down and become dangerously wedged in the fetus's neck. That's called "hindbrain herniation," and it can damage nerves that control breathing and heart rate. Paradoxically, the blockage at the base of the brain can cause fluid to build up inside the skull, a condition called hydrocephalus. That can damage the upper parts of the brain. That spina bifida sac also allows amniotic fluid to seep into the hole in the spine, damaging the developing spinal cord. That's what causes lifelong paralysis. At this point, neurosurgeon Sutton stepped up to the table to help do the crucial part of the operation. He cut into the sac and spinal fluid gushed out. Adzick pointed out the hole underneath. "The spinal cord is right there. It's like a tiny ribbon of tissue," he said. "It's a little bit yellowish, and there's a little bloodstaining there." The hole was only about an inch across. Sutton needed magnifying lenses to stitch it up, using a curved needle. The fetus's back "looks a little bit like the laces of a miniature football" after surgery, says Dr. Scott Adzick, chief of surgery at Children's Hospital of Philadelphia. "I remember when I did my first one when this was just being pioneered," Sutton said later. "I was just awestruck with it — and I was doing it! And I still get a kind of a shiver almost when I do one of these." The repair has to be watertight so spinal fluid doesn't leak out and amniotic fluid doesn't get in. The surgeons' stitches are teeny, tight and even. Three surgeons were involved in the delicate work: neurosurgeon Sutton, fetal surgeon Alan Flake and Adzick, who put the final stitches in the fetus's back. "It looks a little bit like the laces of a miniature football, basically," Adzick said. 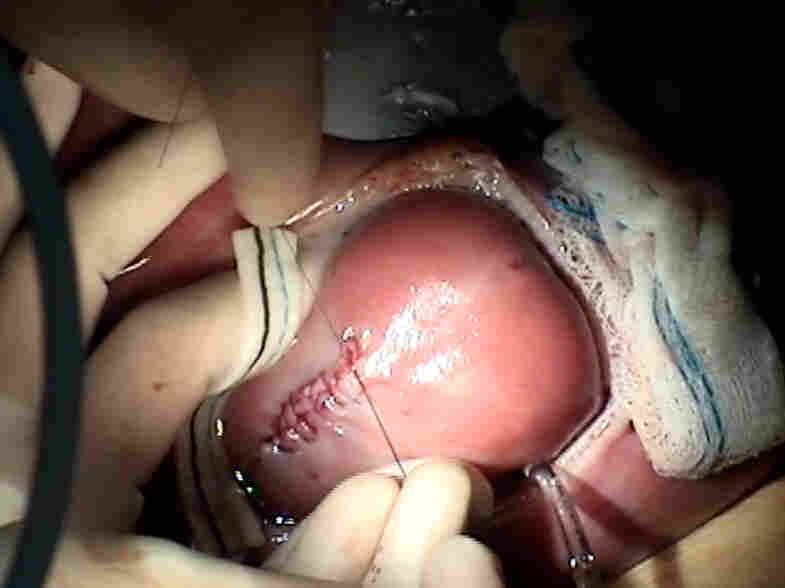 After 10 minutes, the surgeons were satisfied with the repair, and they began the laborious process of stitching together White's uterus, putting it back inside, and sewing her abdomen back together, layer by layer. When they were done, only a fine-line scar remained. A little more than an hour after it began, the surgery was finished. "It went very well," Adzick said. "I'm very pleased. No drama — boring. But that's the way we like it." But while the operation is over, the suspense is not. White could go into premature labor, which could be disastrous. So she'll have to stay in bed for the next 3 1/2 months and take drugs to calm her traumatized uterus. If all goes well, doctors will deliver her baby by cesarean section in early September, about two weeks earlier than a full-term pregnancy. After the baby is born, there's more watching and waiting to see how the child develops. Only then will the family and the surgeons know if it all worked, and how well. Sutton is hopeful, partly because this spina bifida defect was low on the spine. "That's good," he says. "So I think this kid's going to do very well." Sean Mulligan, a fifth-grader in Cincinnati, was one of the first children to have prenatal surgery for spina bifida, more than a decade ago. A study published earlier this year in the New England Journal of Medicine shows that fetal surgery for spina bifida often works — but not always. Nearly 200 women agreed to be assigned randomly to either fetal surgery or a group whose babies were operated on after birth. The fetal surgery group did better on a number of measures. For instance, 4 out of 5 babies who had surgery after birth required placement of a shunt to drain excess fluid from the brain, but half as many in the fetal surgery group required shunts. Almost all the babies treated after birth had hindbrain herniation, the displacement of the lower brain; but about a third of the fetal surgery group had this complication. Most strikingly, at the age of 3 years 42 percent of the children who had fetal surgery were able to walk independently, versus only 21 percent of those who had postnatal surgery. However, many prenatally treated children still have difficulties with bowel and bladder control. And 79 percent of the mothers in the fetal surgery group delivered their babies prematurely, compared with 15 percent in the conventionally treated group. As a result of the study, fetal surgery for spina bifida is no longer considered experimental. That means parents such as White and Hensley don't have to enter a randomized study to get access to it. It also means other medical centers will probably gear up to perform fetal surgery. About 1,500 babies are born with spina bifida each year. And while the outcomes of fetal surgery aren't always as good as doctors hope, sometimes the results are truly amazing. 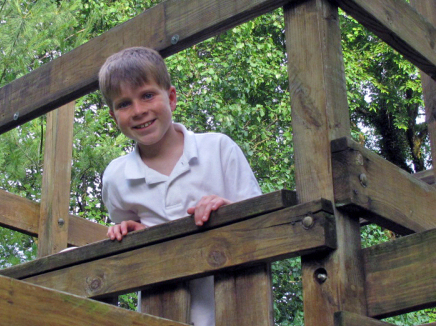 For instance, Sean Mulligan, a fifth-grader in Cincinnati, was one of the first children to have the experimental surgery, more than a decade ago. The only outward sign is a 6-inch scar on his lower back. Mulligan says he feels very lucky that doctors fixed the hole in his spine. If they hadn't, he says, "I"d be in a wheelchair. I wouldn't be able to walk and play sports like I do now." His mother, Katherine Mulligan, says Sean's outcome is not perfect. For instance, he has some bladder problems that require him to be catheterized every night at bedtime. But, standing on the sidelines one summer afternoon watching Sean and his teammates dart around a soccer field, Katherine Mulligan said nobody watching could pick out the one with spina bifida. "I'd challenge anybody to come out here on this field and say, 'Oh, it's Sean.' They wouldn't pick him. They'd be hard-pressed to figure it out. It just gives me goose-bumps," she said. Jane Greenhalgh produced this report for broadcast. In the audio introduction to this story, we mistakenly translated 1 in 33 to one-third, overstating the number of birth defects by a factor of 10.